Hi everyone! It’s that time of year again – Indie Pattern Month over on the Monthly Stitch and I’m joining in again for the second year. There is a challenge a week for the month of July. The first challenge is ‘dresses’. Now I’m not normally a ‘dresses’ kind of person (although they are fun to make!) but there was one dress that I wanted to go back to because my first attempt had quite a lot of mistakes in it. Pauline Alice’s Cami dress for our two-year blogiversary! 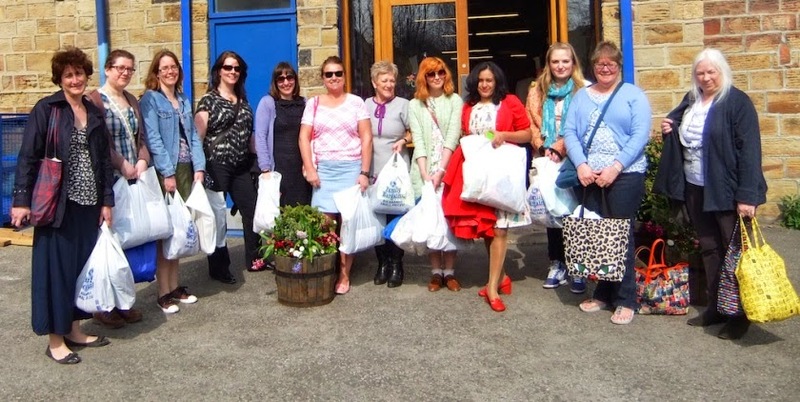 Yesterday I had a great day out at Dewsbury fabric shopping with some fellow bloggers.